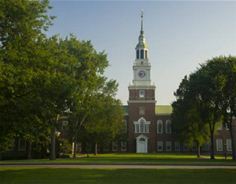 Boston, MA and Oxford, UK – Aug 15 2018 – The Dartmouth College Library, an integral part of the private Ivy League research university in Hanover, New Hampshire, has chosen Preservica’s cloud-hosted active digital preservation software to protect and provide greater online access to the heritage and institutional assets of the college. The first stage of the digital preservation project will focus on digital materials held by Dartmouth’s Rauner Special Collections Library, home to more than 100,000 rare books, over six and a half million unique items from cuneiform tablets to manuscripts, oral histories such as Vietnam War testimonials from Dartmouth alumni, and extensive Dartmouth College archives that include the history of the college and the surrounding area from its founding in 1769 to the present day. Over the past 20 years, the library has also been accessioning an increasing volume of digitized and born-digital materials. Caitlin continues, “We drew up a detailed specification for our digital preservation needs and chose Preservica as the system that most closely aligned with our goals. We especially liked the fact that it brings preservation and access together in one application, that it synchronizes with ArchivesSpace to integrate the metadata for our physical and digital holdings, and that it enables us to perform the traditional archival tasks of arrangement and description in a digital environment. Founded in 1769, Dartmouth is a member of the Ivy League and consistently ranks among the world’s greatest academic institutions. Dartmouth has forged a singular identity for combining its deep commitment to outstanding undergraduate liberal arts and graduate education with distinguished research and scholarship in the Arts and Sciences and its four leading graduate schools—the Geisel School of Medicine, the Guarini School of Graduate and Advanced Studies, Thayer School of Engineering, and the Tuck School of Business. Dartmouth’s mission is to educate the most promising students and to prepare them for a lifetime of learning and of responsible leadership through a faculty dedicated to teaching and the creation of knowledge. At the heart of Dartmouth College is one of the oldest research libraries in the United States. The Dartmouth College Library is comprised of eight libraries distributed across various academic centers, which house a multi-million volume collection and provide access to a rich array of digital resources supported by a technically robust networked environment. It’s a proven solution that’s trusted by business, archives, libraries, museums and government organizations around the world – including the UK National Archives, Texas State Library and Archives, MoMA, Yale and HSBC – to name a few.